Clarifications with a potential roommate? What is a deposit amount? Students looking out for accommodation may take up assistance from the admission authorities of the school and colleges they are pursuing for a temporary housing or apartment; while you search for a suitable accommodation. This is truly beneficial as staying at a hotel or a motel might prove to be costly. Approaching the admission authorities well in advance is advisable as there would be a lot of students trying to capitalize this opportunity. More opportunities in terms of meeting new people and communicating and learning new things are available to students taking up accommodation in dormitories whereas private apartments or rooms may prove to be a bit secluded. Students may encounter situations where they find that the housing in residence halls is limited. There is always a shortage of not so costly off campus accommodation facilities. The best way of dealing with this situation is to preplan and start looking for well in advance; even before one plans to initiate the studies. Accommodations these days are equipped with furnishings and fittings that suit normal requirements such as beds, chairs, desk and cupboards. However; one is advised to check out on all these before finalizing as taking up these facilities from separate service provider may cost you more as compared to latter. Hall of residence though best of the places to stay does not allow to cook in the rooms. However it does have a cafeteria meals are provided as stated in the meal plans. Some accommodation might provide with a small cooking space. Students living in apartments have the privilege to buy and cook their own food. Eating out daily might prove to be more expensive and hence cooking your own food and saving on that money would be a better idea. Dormitories (residence halls) are located on or very near to the campus. Meals, cleaning and Linen services are at times given. Easy to meet and make friends as a large number of them stay there. Crowded and noisy atmosphere may make it difficult for studies and privacy. With Families is a facility that may be offered by some of the campuses especially for those who are married; who can stay with their families but at a low cost. Such apartments may be with one, two, three or more bedrooms with bathrooms – kitchen with refrigerators and living rooms with televisions. 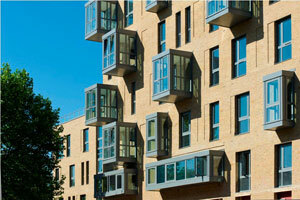 Studio apartments are also one of the inexpensive options available to students. The difference between a accommodation and modification for a student can be seen here. Generally small, with combined living and sleeping areas. Such apartments which are located close to the campus are a bit expensive as compared to those away from the campus. Paying Guest accommodation facilities are the ones where three to four people- depending on the size of the house are allowed to stay together. Utilities costs tend to be more as compared to other options. Individuals are advised to initiate the search from the student office as that is the place to obtain details with regards to dormitory rooms and apartments. Looking at the campus newspaper and also the local newspaper in the classified segment would enhance your options of getting the correct type of accommodation. An agreement in black and white known as contract between the landlord and the student (in this case) is called a lease agreement. Lease agreement happens to be a legal binding and hence it is advisable to read and understand the contract thoroughly…and then sign it after amendments as agreeable to both the parties; if required. There are cases where students have someone else live with them under their lease or vice versa- known as sublease or a roommate. Also it is necessary to check the lease agreement whether it is premising you to go for a sub lease or not. The entire responsibility of any damages or things like that rests on the person who has signed the lease agreement. Food supply purchases and cooking – together or separate? Deposit as the name says is the money paid by students (in this case) staying in a rented accommodation; which guarantees against the damage to the building or its property. Houses when vacated without any damage to the building or property the landlord or the apartment manager may be held liable for returning nearly all your deposit amount. 30 days is the tentative timeline when the deposit needs to be returned to the tenant (student in this case). The stress levels are increasing and the mentalities are changing rapidly due to bad to worse life experiences people have. Landlords might not be fair or reasonable always for certain cases. Here; students are advised to seek assistance from enlisted establishments or authorities who may help students to understand their rights and provide necessary legal guidance.